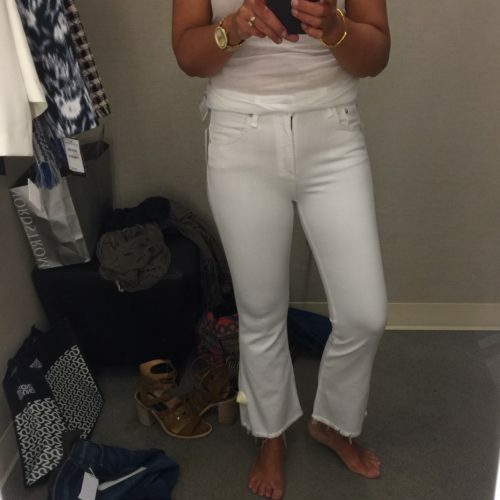 Last week, I had a chance to pop into Nordstrom and try a few things on. 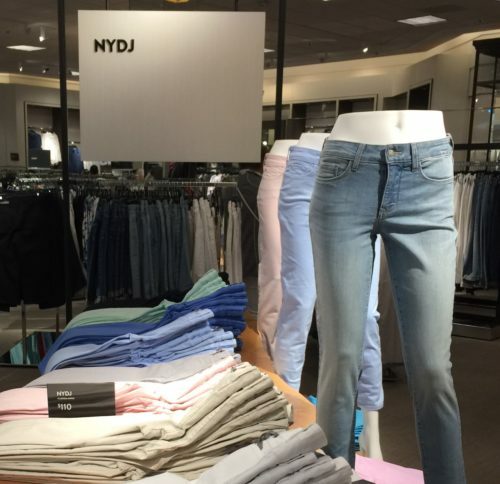 As promised, I’ve got some reviews for you, live from the dressing room at Nordstrom. So grab a cup of coffee, get comfy on the couch, and let’s go shopping! On the hunt for a comfortable pair of everyday shoes, I tried on a few hot sellers, from Paul Green. I love the ‘Cayenne‘ peep toe spring bootie. I’ve heard great reviews from readers, and my sales guy at Nordies claims it his #1 selling shoe! so I asked for the ‘Winston’ mule. This is one FABULOUS shoe! If you are in the market for a mule, this pair is soo comfortable (and many are not). I love a mule with crop pants. BTW, rolled up flares,as above, are NOT a new trend. I was ready to take ‘Winston’ home with me, until I tried on ‘Hana’. Tough call, as I loved all 3 of these shoes – for different reasons. Like any smart shopper, I dialed up a friend for a 2nd opinion, and after much deliberation, ‘Hana’ came home with me. Left ‘Hana’, Right ‘Winston’ in pewter. Ann Krembs of Kremb de la Kremb, HERE. 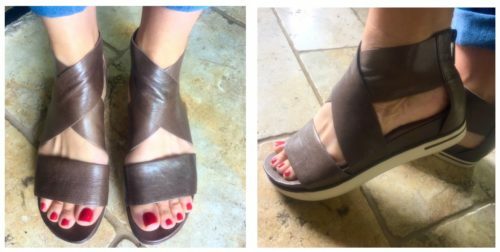 Before we more onto denim, I have a few other fab sandals to share! 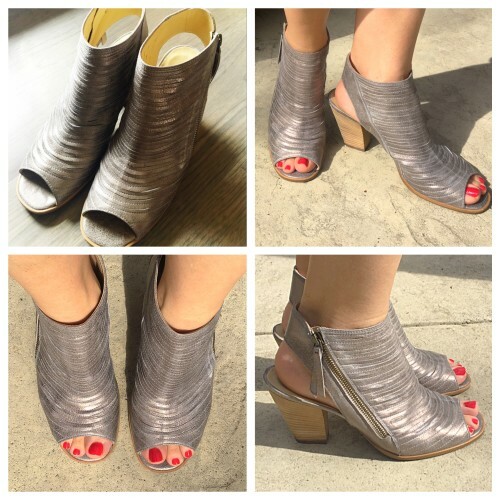 Remember the Vince Camuto ‘Lavette’, featured in this Ask Suzanne Bell shoe post, HERE? Priced $119.95, I’m loving this taupe color (Cashmere), on my other Michelle! Looking for the perfect pair, to stroll around Europe this summer? 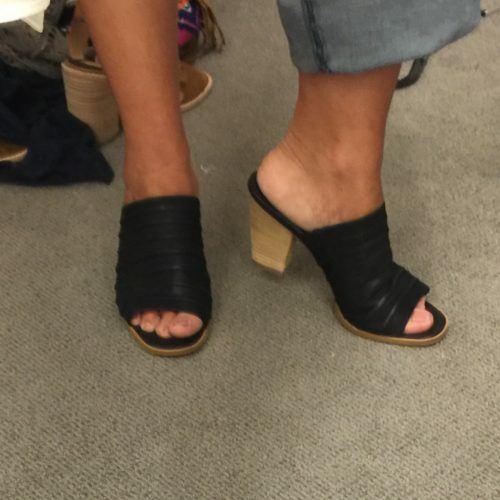 Eileen Fisher ‘Sport’ Platform sandal, available in 5 colors! 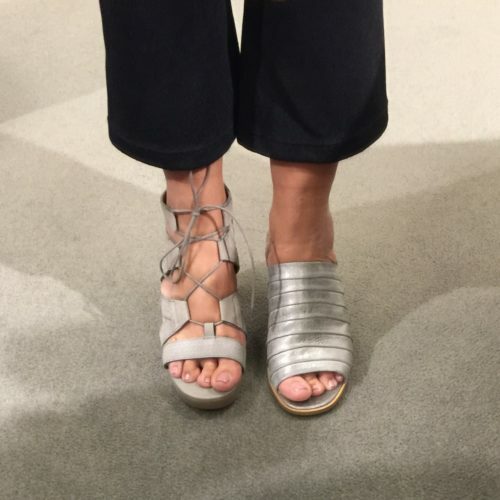 Find more Nordstrom Spring Shoe Reviews on this post HERE. 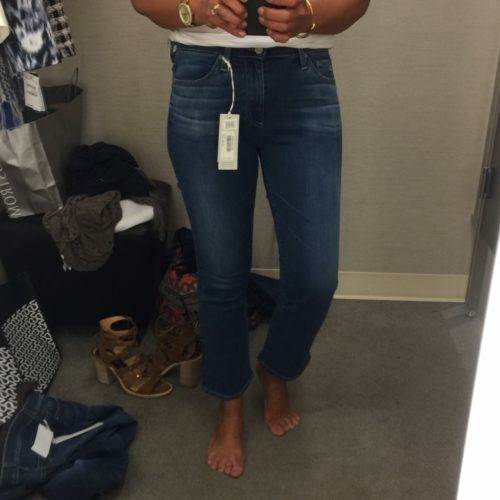 After shoes, I hit the denim department – to try on a few cropped flare jeans. High-rise slim flare crop. Ran true to size. Note, the flare on the Jodi, is a barely-there-flare. EEK! This pair looked so scary on me, but I wanted to share, so you can see for yourself. WAAAY to see thru, tight on the knees, and BRIGHT white – didn’t work for me at all. A pass. I think the ‘Cropped Straight’ from Current Elliot or ‘The Kick‘ might be a better fit and not so see thru, if this jean doesn’t work for you either. Hudson ‘Mia’ Crop Flare, Carve Wash. These are a weird length (too long), and the hem is cut uneven – not in a good way. 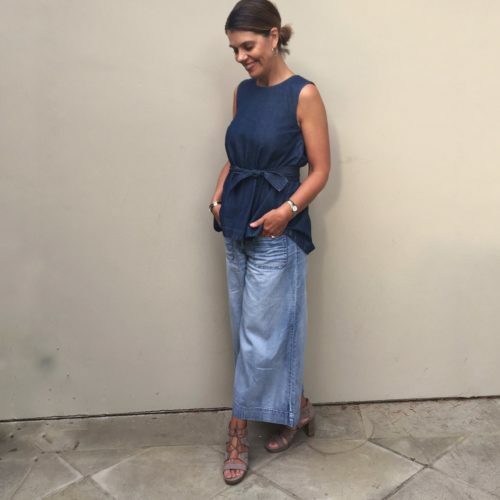 But since I liked everything else about the ‘Mia’, I purchased the same cut in a darker wash (not available online), and had alterations hem them (below). 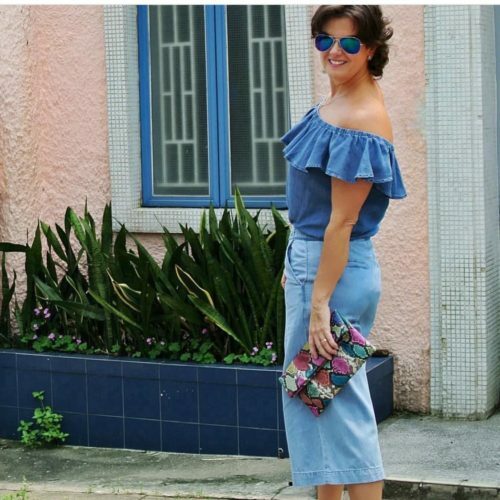 I think this jean needs to be the right length – showing off some leg and shoe, in order to be flattering. I had the length hemmed to right below my calf (about an inch shorter than here). I will be picking them up next week, so stay tuned. So Ladies, I have much more to share – blazers and fun tops, but I’m out of time for today. Pop back on Wednesday, for Part #2 of my Nordstrom Reviews. I’ll be sure to share my newly altered jeans as well, so you can see if these are for you, or not. And, a very Happy Mother’s Day wish to all the Mom’s out there, who work so hard everyday, for everyone – I hope you carve a little time out for yourself this weekend – you deserve it! 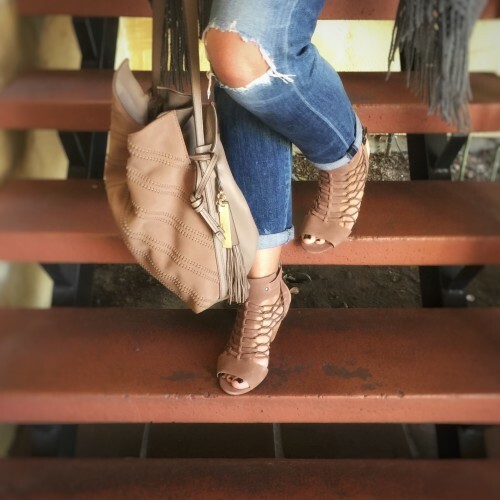 Great shoes & jeans! I love the Winston mules. 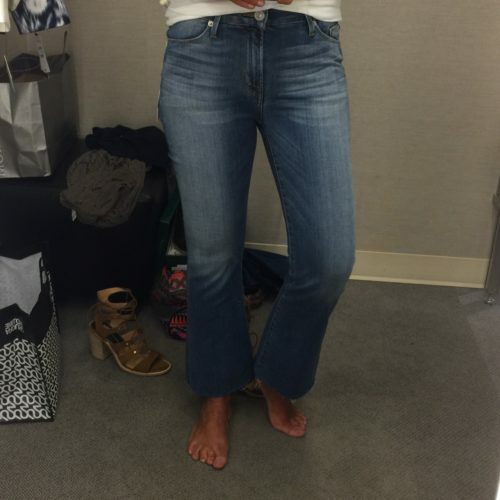 Love these dressing room blogs…my fav. Thank you. Oh yes, how I love Ann’s style! Such an inspiration! I really had a hard time, I really wanted all 3 pairs! Ah, a girl can dream, right? Thanks for dropping a comment!